Ben Johnson is the Content Marketing Manager at Fundera. He specializes in data-driven and life hack pieces to help business owners prepare for the future. Business isn’t just a man’s world anymore. In 2009, while only 9% of startups had women at their helm, that figure doubled in 2015 to almost 18%. Today, more than 9.4 million firms are owned by women. Despite their growth and success in running U.S. small businesses, women continue to face bias against their skills and capacities as entrepreneurs – and even in how they’re funded. To understand how Americans perceive businesses owned and operated by women, we showed over 1,000 people 10 business plans and asked them to rate each company’s success, how well they believed it was managed, and if they would consider patronizing the business. For each business plan, half were shown with a woman as the owner and half with a man at the helm. No other details were modified. Continue reading to see what we learned. 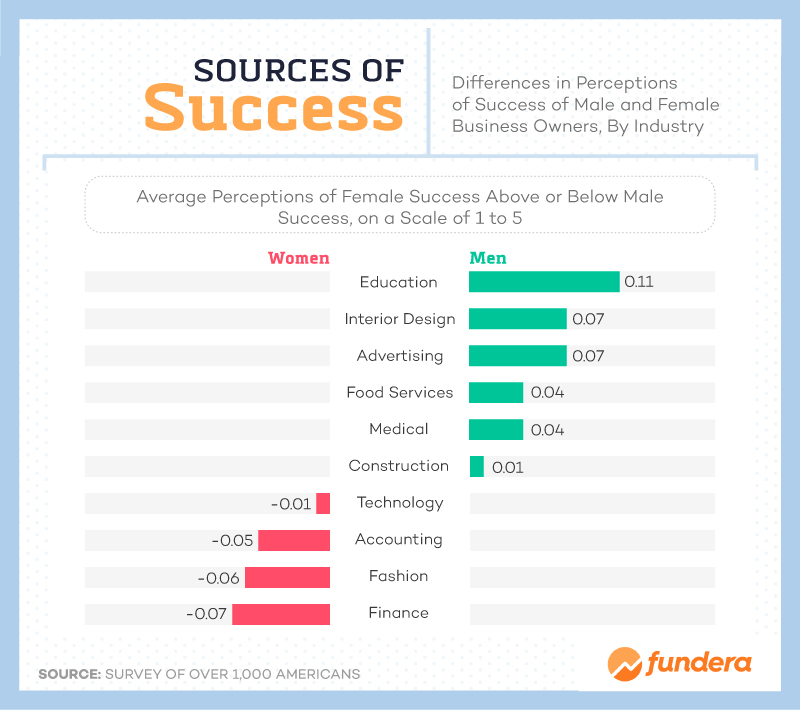 In the eyes of those surveyed, female business owners were perceived to be less successful than men in the technology, accounting, fashion, and finance industries. In fact, many major fashion houses are run by men, which may affect women’s abilities to find success in this field. And in technology – where women have struggled to gain ground in startups and existing companies – female-owned businesses have been viewed as just slightly less successful as male-owned companies. In spite of this slight difference in perception, many women have gone on to revolutionize the tech industry in executive positions. We learned Americans tended to more positively perceive women’s management skills in female-dominated industries, but this perception was reversed for women’s management skills in male-dominated industries. That said, there were two industries typically dominated by men – food services and construction – where women were perceived as better managers than men. In fact, U.S. construction businesses owned by women grew 56% between 2007 and 2016. 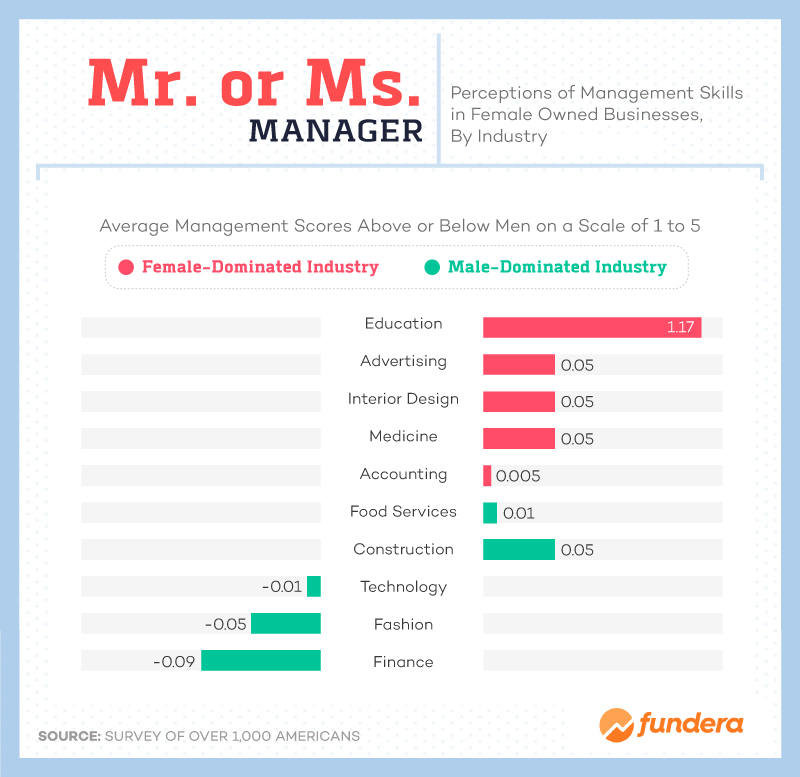 When it came to accounting (a female-dominated industry), women were more likely than men to be perceived as effective managers while in fashion (a male-dominated industry) men’s anticipated management skills exceeded that of women. 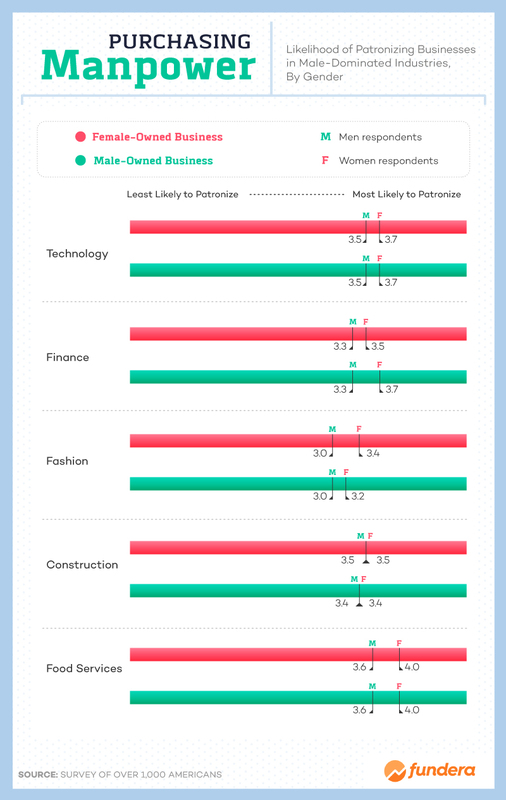 Overall, men tended to be more critical than women in regard to female business owners. When it came to success, management skills, and likelihood of patronizing, women perceived female owners more positively. The most exaggerated instance of this, however, occurred in the two genders’ likelihoods of patronizing various businesses. 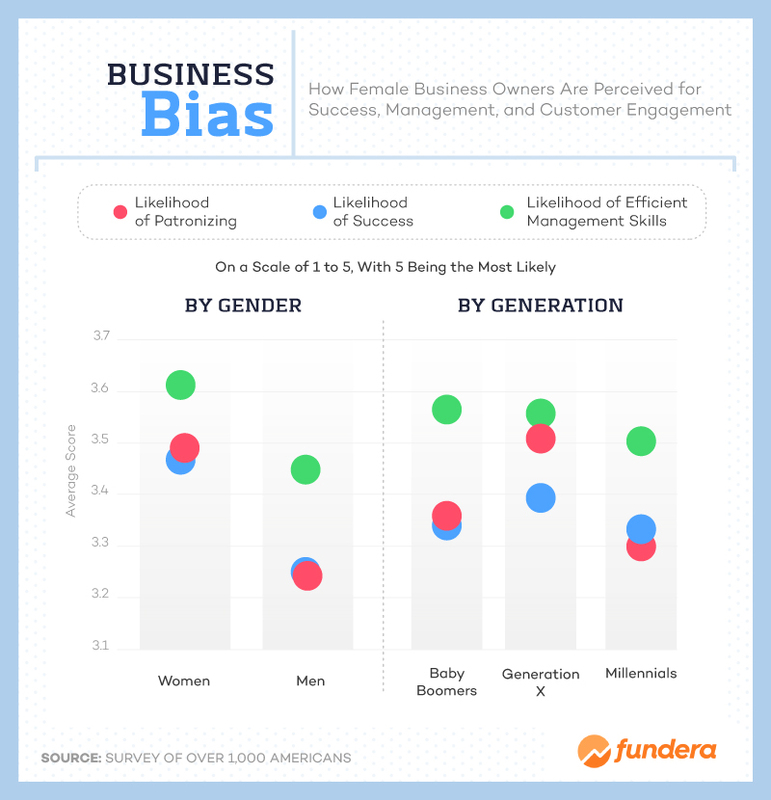 Surprisingly, Millennials were the least inclined to patronize a female-owned business. Gen Xers were the most likely to patronize their businesses were the most supportive to the notion of a female business owner earning success in her business endeavor. Baby boomers had the most encouraging views of their management skills. Democrats and Republicans had different opinions about female-owned businesses. Republican perceptions of female success were more positive than those of Democrats. 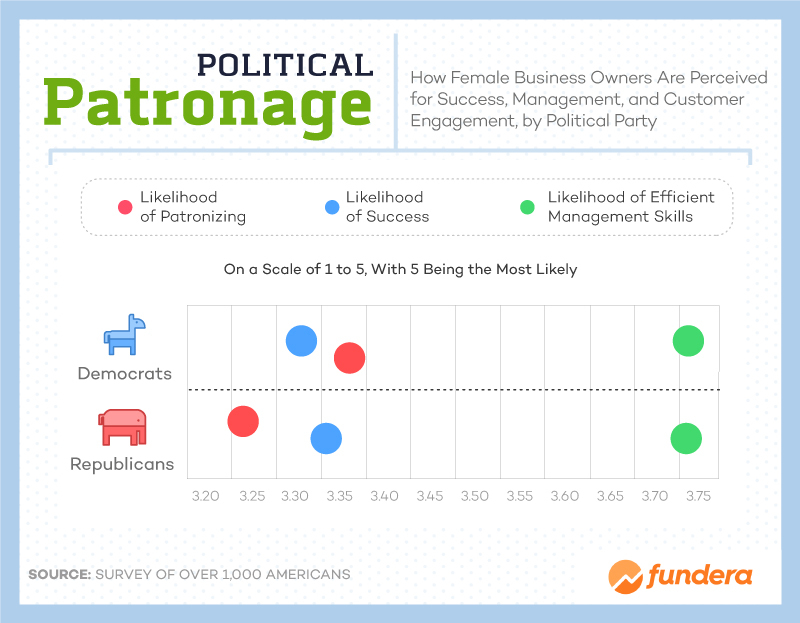 That said, Democrats were much more likely to patronize their businesses, on average. The left wing also shared a slightly more positive opinion of women’s management skills as small-business owners. Finance is still considered a male-dominated industry, and the women surveyed seemed to trust male-owned finance firms more. Women were more likely to patronize a financial establishment if it were run by a man. When it came to tech, fashion, construction, and food, however, women reported being more likely to patronize the businesses if it were being run by a woman. Men actually divulged numbers much closer together when discerning between female and male-operated businesses. In other words, their tendency to patronize did not change much when the gender of the business-owner was switched, which was not the case for women. Both men and women proved themselves to be very nondiscriminatory when it came to patronizing a medical business. Their numbers hardly varied when it came to choosing between a male- and female-run enterprise. In other female-dominated industries, however, numbers shifted as men and women were presented with different gendered entrepreneurs. 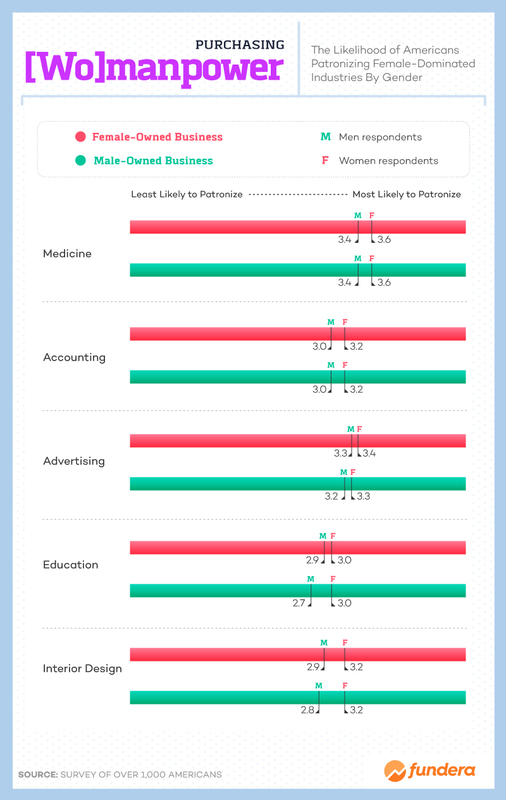 Both men and women were actually less likely to patronize a male-run business in accounting, advertising, education, and interior design fields. Evidently, being a female entrepreneur in an industry dominated by women is good for sales numbers. Women are some of the most successful entrepreneurs in small business today. In 2015, there were more than 9 million female-owned companies in the U.S., employing over 8 million people and earning over $1.4 trillion annually. 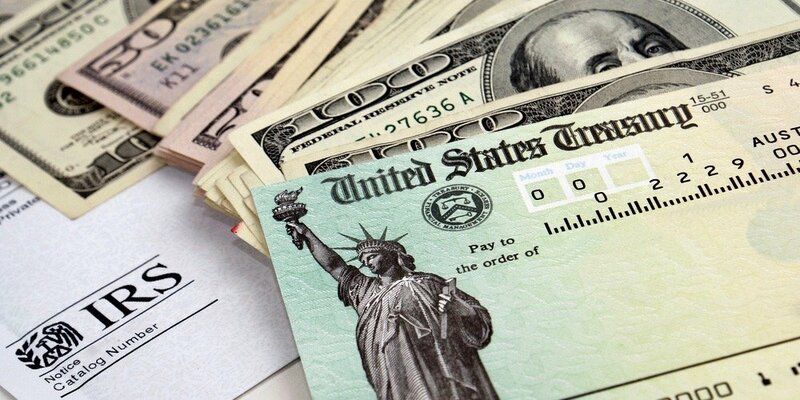 Whether discriminated against or not, women are certainly making enormous financial contributions to America’s workforce. Fear of public opinion should not hinder your motivation to pursue the business plan of your dreams. With the right idea and proper financing, the possibilities of entrepreneurship are equally available to all genders and ultimately any driven individual. 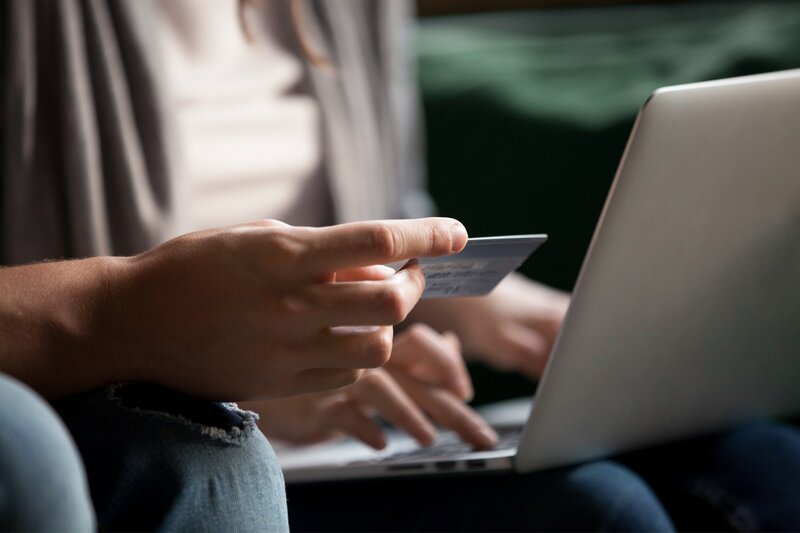 Head over to Fundera to explore your financing options and get your business off the ground today. 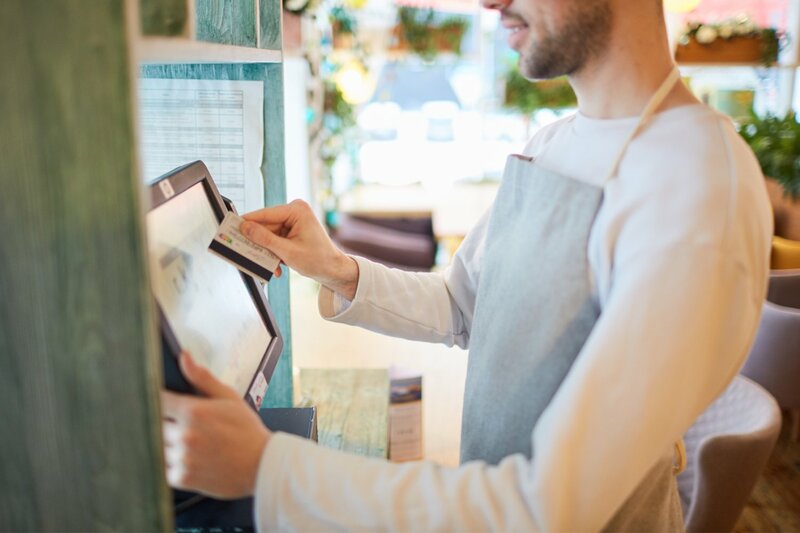 We asked over 1,000 Americans to read 10 business plans and rate each plan on the likelihood of success, how well the business was managed, and how likely they would be to patronize the business. At the end of our survey, participants answered demographic questions including age, gender, and political affiliation. For each plan, half of the respondents were shown a plan with a man’s name on it, and the other half were shown the same plan with a woman’s name. Each plan was written for a unique industry. Five industries were more male-dominated, and five were more female-dominated. The female-dominated industries are accounting, advertising, design, education, and medical. The male-dominated industries are construction, finance, fashion, food services, and technology. Want to share our findings on gender bias in business for noncommercial purposes? 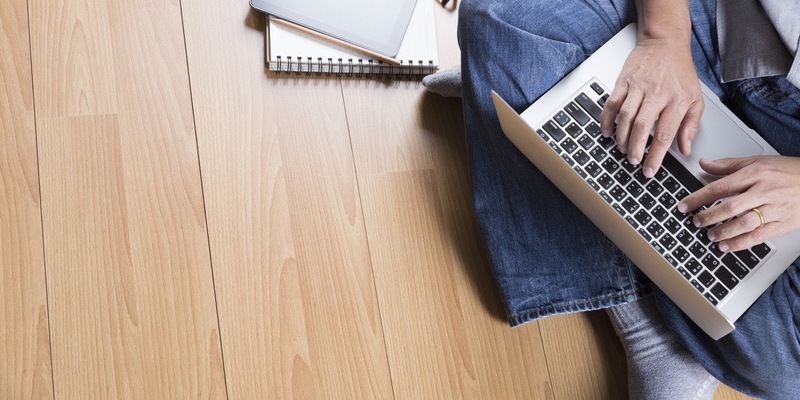 Just be sure to give credit by linking back to this study.